WOW, Black Friday, Cyber Monday and a Thanks Giving Feast all in one fantastic week! The staff here at MAK Magic wishes you all the best during this holiday season. We have been as busy as Santa’s elves. Receiving shipments of all of the coolest magic going and boxing these gems along with some of the best standard magic to ship out to dealers around the globe. My guess, there are going to be a whole bunch of very happy magicians looking under the tree this year. Just so you know, we received some very nice items from Magic Depot and Trick Masters as well as the final shipment of Mikame Craft magic. We will be back to our usual schedule of blogging after the first of the year. 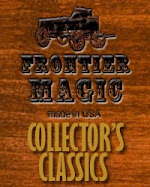 Look for new articles on magic products, routine ideas and marketing notes.